Milton Concert Band (MCB) presented “That Swing Thing” Fundraiser, featuring a Latin Dance demonstration by danceScape’s Daniel Ayala and Roxy Slota performing the Salsa, Cha Cha, and Jive. 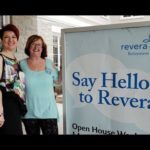 The event also featured a fabulous dinner buffet with separate dessert buffet, a cash bar, games, silent auction, and live music by MCB Swing Ensemble. 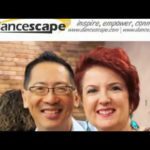 danceScape Dance Company was founded by Robert Tang and Beverley Cayton-Tang, former three-time Canadian and two-time North American Undefeated Amateur Standard Ballroom Champions, as seen on CBC Television’s “Fortune Hunters” and “Dragons’ Den”, as well as VIVA Television’s “Healthy Gourmet”. Robert was recently featured in a television commercial for ParticipACTION, the national voice of physical activity and sports recreation in Canada. For more information, visit http://www.miltonconcertband.com and http://www.dancescape.com. More dance videos at http://www.dancescape.TV.